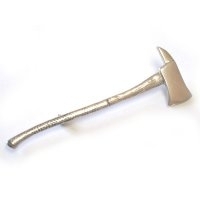 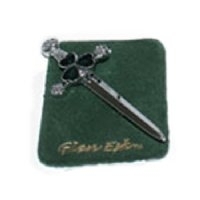 Scottish, Irish Clan Crest Kilt Pins, Cap Badges, Pendants and more. 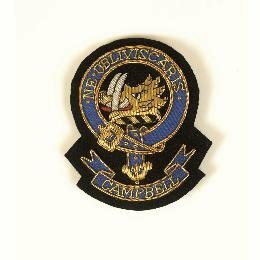 A Scottish crest badge is a heraldic badge worn to show allegiance to an individual or membership in a specific Scottish clan. 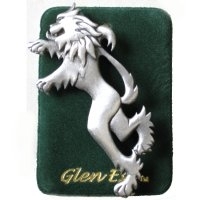 Crest badges consist of a crest and a motto/slogan. 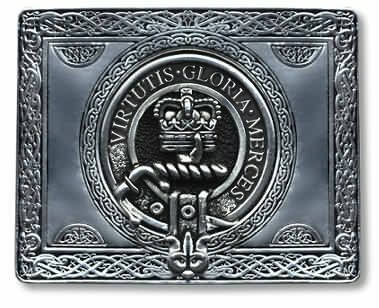 These elements are heraldic property and protected by law in Scotland. 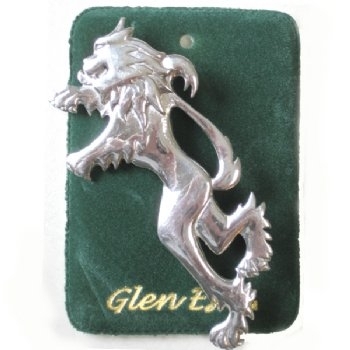 Crest badges may be worn by anyone; however, those who are not entitled to the heraldic elements within, wear a crest badge surrounded by a strap and buckle. 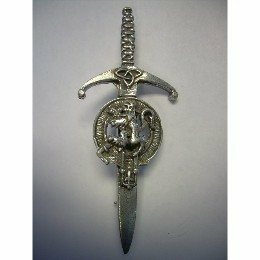 Those who own the heraldic elements within, may wear a crest badge surrounded by a plain circlet. 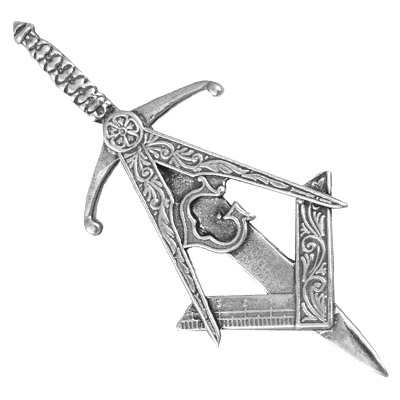 The strap and buckle represents that the wearer is a follower of the individual who owns the crest and motto. 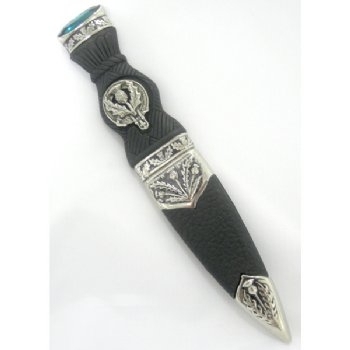 Crest badges are commonly worn by members of Scottish clans. 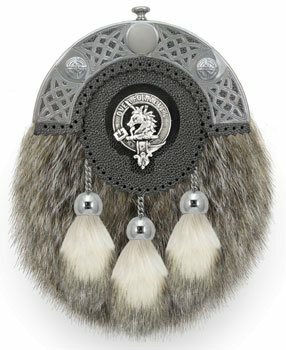 These badges usually consist of elements from the clan chief's coat of arms. 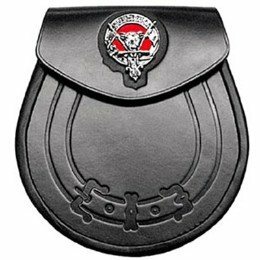 Clan members who wear their chief's crest and motto surrounded by a strap and buckle, show they are a member of the chief's clan (family). 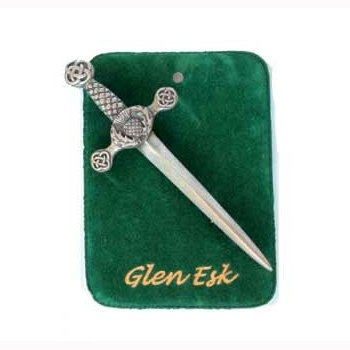 There are established clans that do not have chiefs recognised by the Lord Lyon King of Arms. 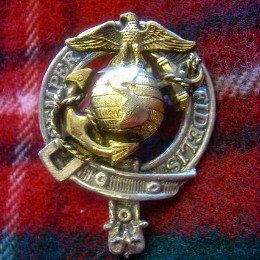 In such cases clan members sometimes wear the crest badge of the last known chief. 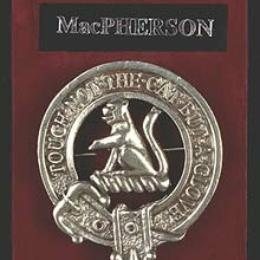 Some clans wear crest badges derived from the arms of individuals who were never recognised as clan chiefs.